[updated June 2012] I was once asked "Why do Africans go vegetarian?" - it was an unexpected question but the reply was simple enough: "For the same reason as everyone else, health, animals, environment or religion, according to their personal priorities". Though many Africans are also more aware than most of us that vegetarianism, and especially veganism, can make a real difference to world hunger problems. Many Africans of course do not have much choice, just finding anything at all to eat is their priority. But most of us know that far more people could be fed directly on plant food, than if it is processed through animals to provide meat. Add to that the fact that an alarming proportion of the food that is grown in Africa is exported to the richer countries, and we can begin to see the underlying problems. 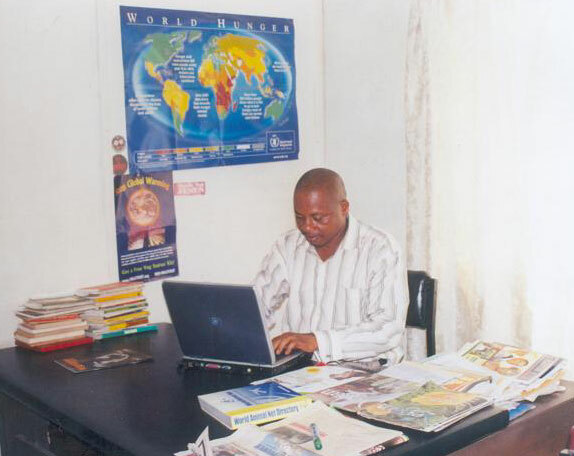 The IVU Regional Co-ordinator for Africa is Emmanuel Eyoh, president of the Nigeria Vegetarian Society (NVS), founded in 1993 and a member of IVU since it began. 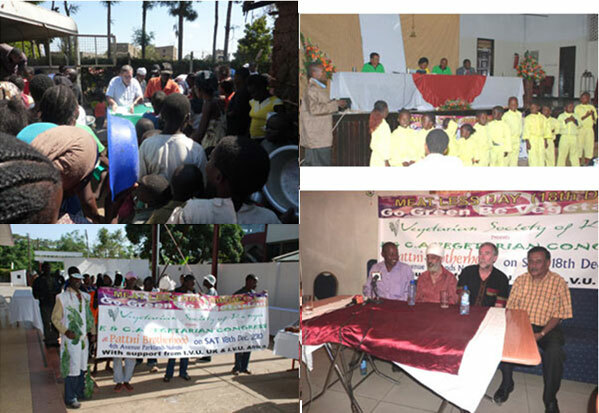 In December 2007 Emmanuel organized the first ever vegetarian congress in Africa - a West African Congress in Lagos, Nigeria, attended by many people from neighbouring countries in the sub-region. Emmanuel is actively involved in programs to feed local homeless people, with veg food of course, and the 'world hunger' chart behind him shows his priorities clearly enough. 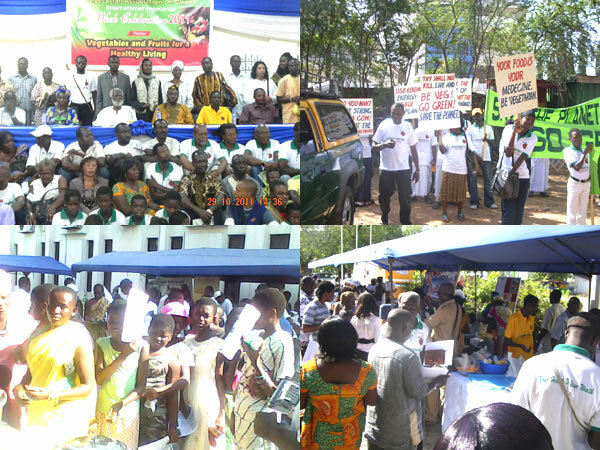 At the end of October 2011 IVU was able to give further financial support to the Vegetarian Week in Accra, Ghana, along with some help to veg friends from neighbouring Togo and Nigeria to enable them attend. 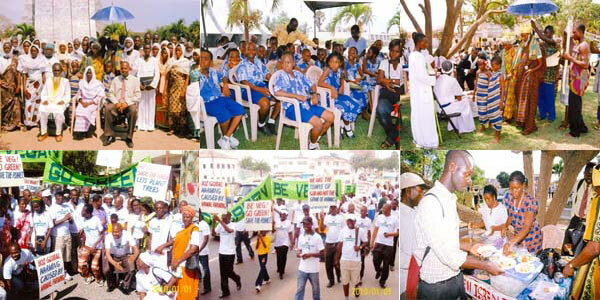 The next plan is for a Congress/Vegfest in Lomé, the capital of French speaking Togo, between Ghana and Nigeria. We hope friends from vegan societies in Ethiopia, South Africa and veg friends from other countries will be able to join us in what could become the first ever pan-Africa Veg event. Then, if all goes well then the next major objective will be the first ever IVU World Congress/Vegfest in Africa in 2014 – we have two possible countries interested in hosting it, more details soon on that one. For more about veg*ism in Africa go to: www.ivu.org/africa - where you can join the ivu-africa email group.